Designers go out of their way to make the lives of ladies better, but sometimes their imagination takes such strange shapes that we can only ask, "Wait, what?!" Bright Side gathered 21 items for women that seem too weird and useless at first glance. Why only at the first glance? Find out at the end of the article. 21. LED eyelash covers to stand out from the crowd. 20. A face mask that electrocutes you. 18. A device for beautiful eyelids. 16. Another face distender to get rid of wrinkles. 15. 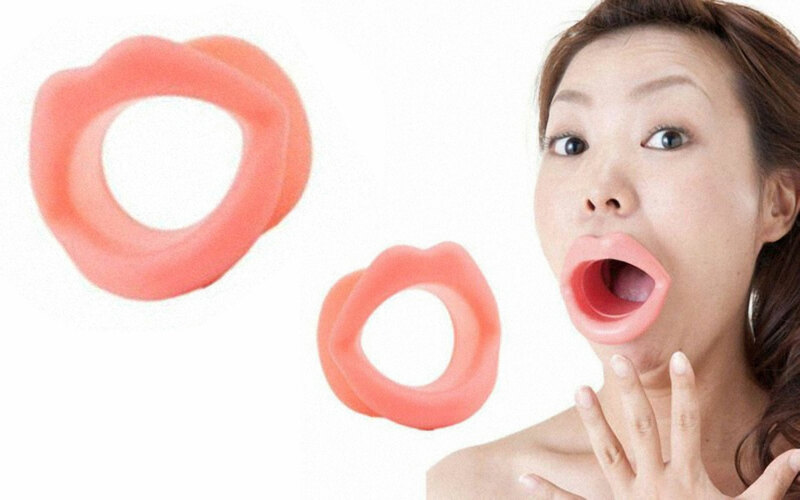 A device to improve the shape of your nose. 14. Stickers for those who can’t use lipstick. 13. And if your laziness has won, here’s a false face. 12. When you can’t leave your pet behind for a moment. 10. Clippers that will save you time. 9. Combine walking around the house and cleaning. 8. Do some sports while walking your baby. 7. And wash your clothes at the same time with this portable washing machine. 6. Use this napkin when eating, and nothing will spoil your smile. 5. Keep your feet dry. 4. And not only your feet. 3. A dress that can hide you from prying eyes. 2. Wine Rack Bra. The name says everything. 1. If you don’t feel like taking your handbag with you. Bonus: a fork that counts calories. This gadget proves that even the craziest idea has a right to live. Its designer probably gave the world a whole lot of weird inventions before coming up with this diamond. So if you want to, go on and invent. Maybe it’s your idea that will make the world better!